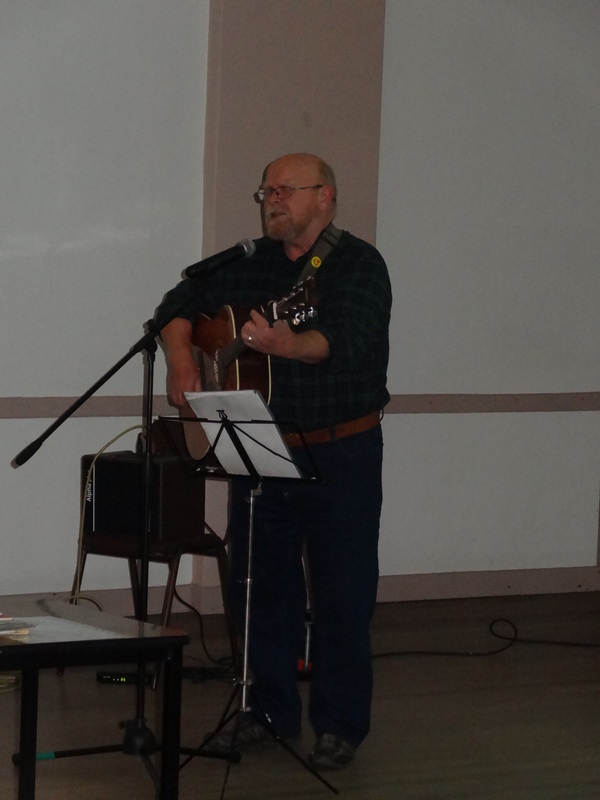 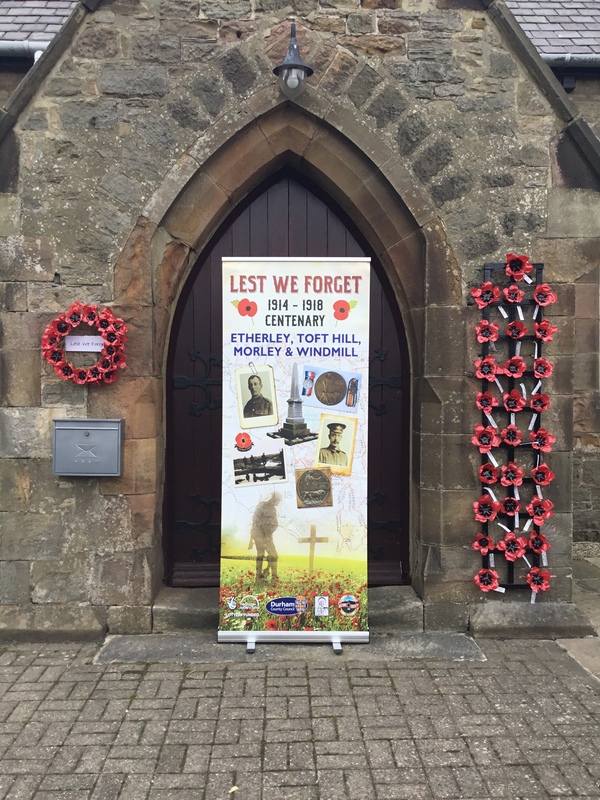 Evenwood Parish Hall, Butterknowle Village Hall, the Cornerstone Christian Centre, Etherley Methodist Church, West Auckland Memorial Hall, Hamsterley Village Hall and Wylam Institute were our venues. 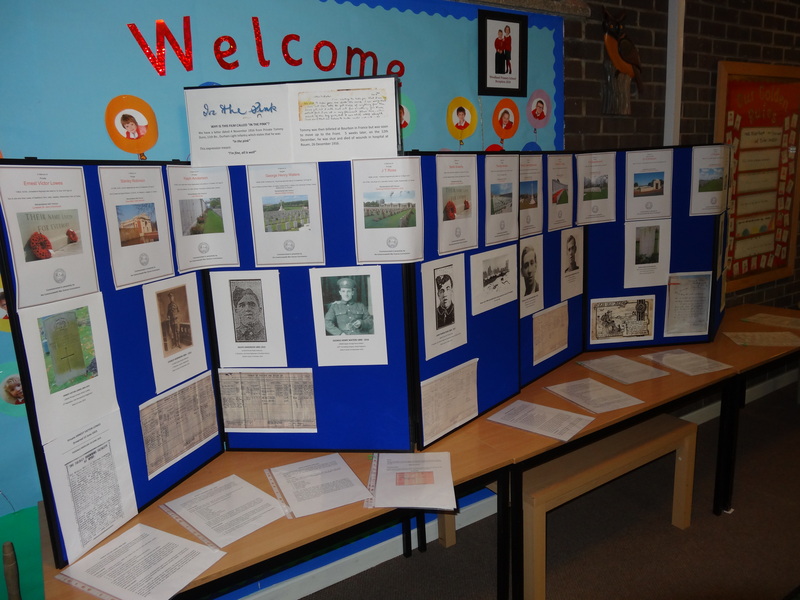 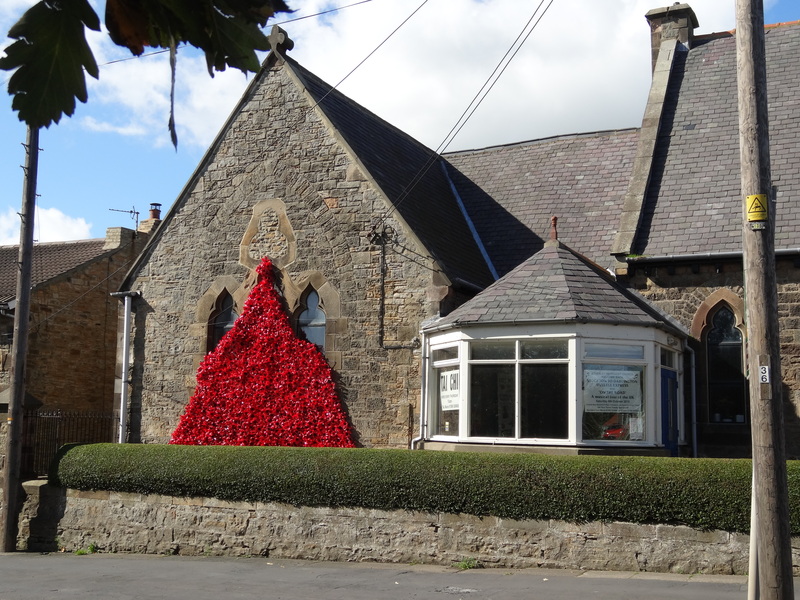 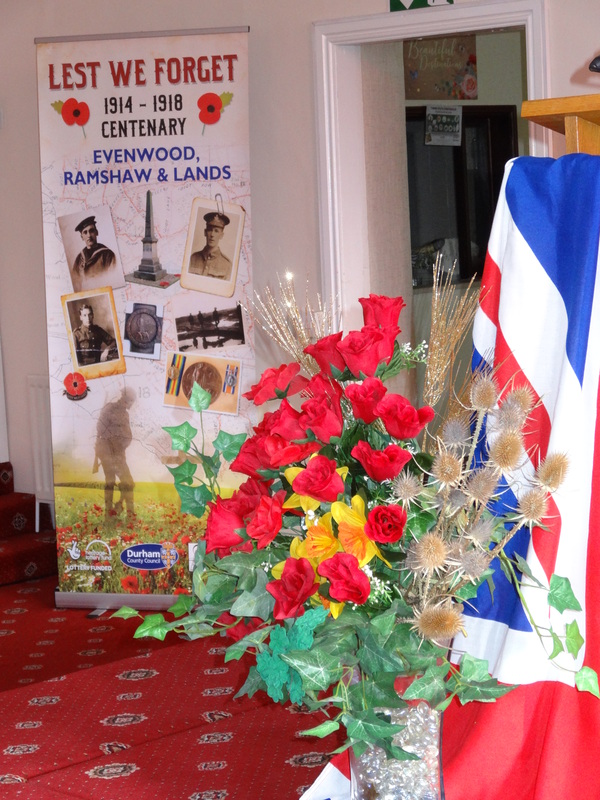 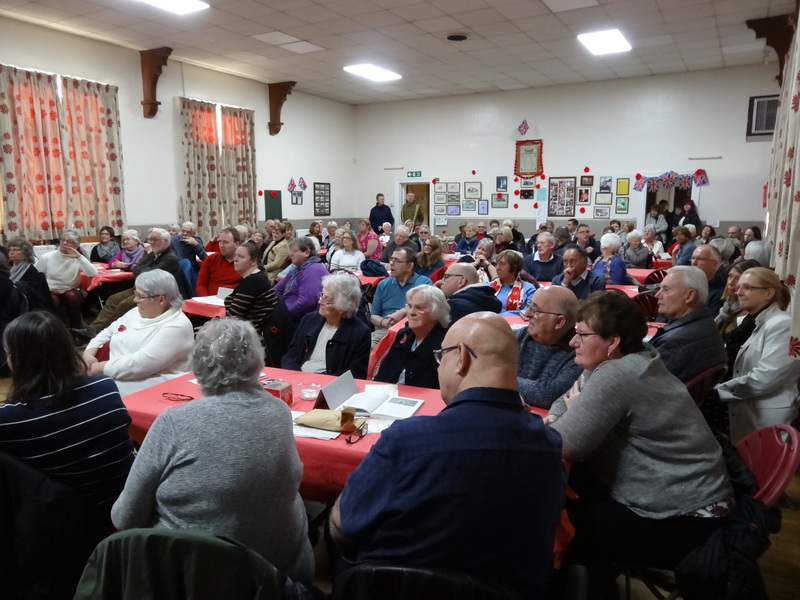 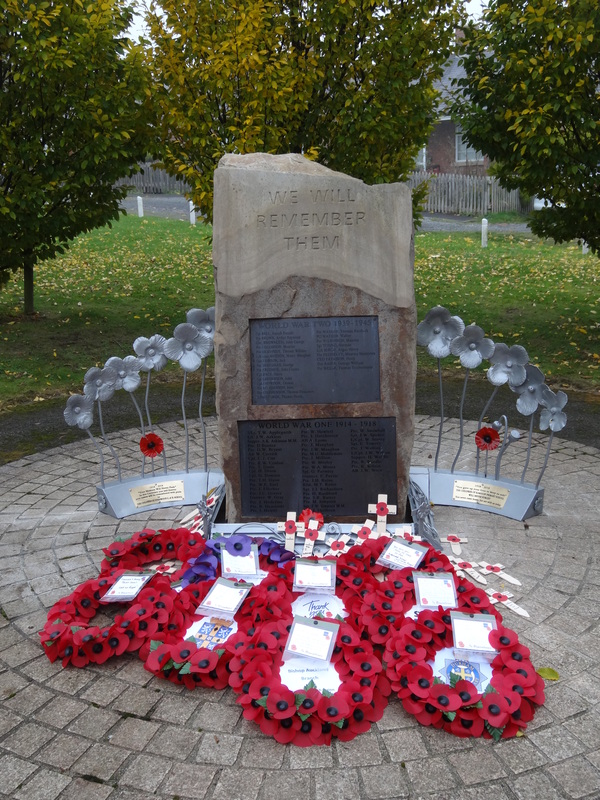 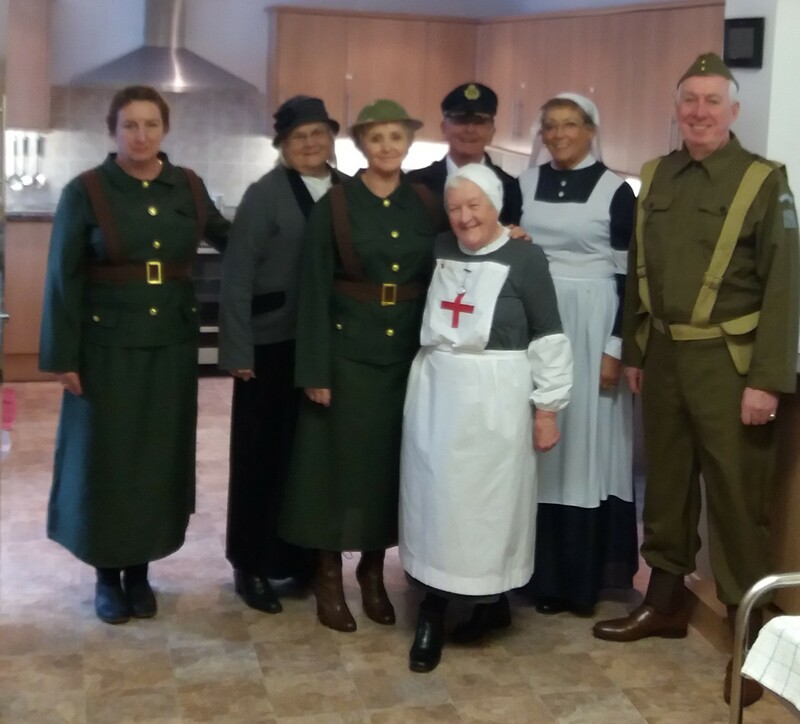 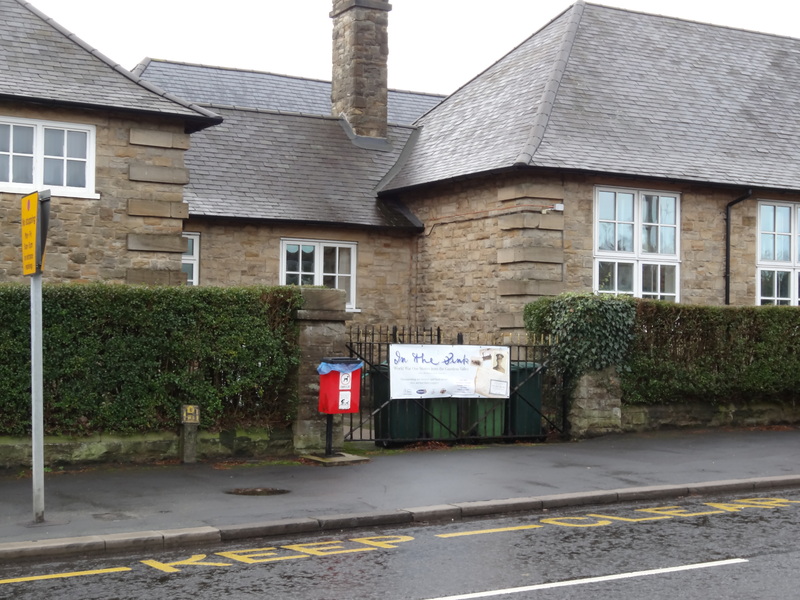 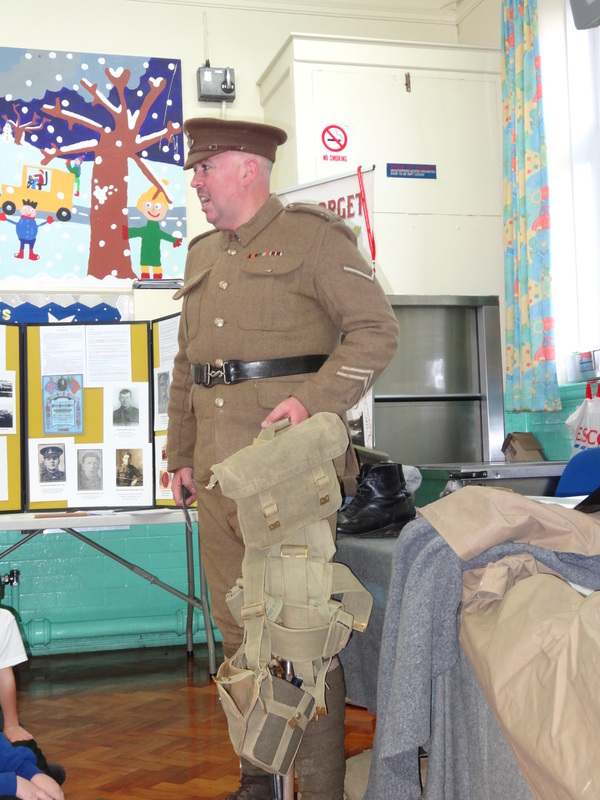 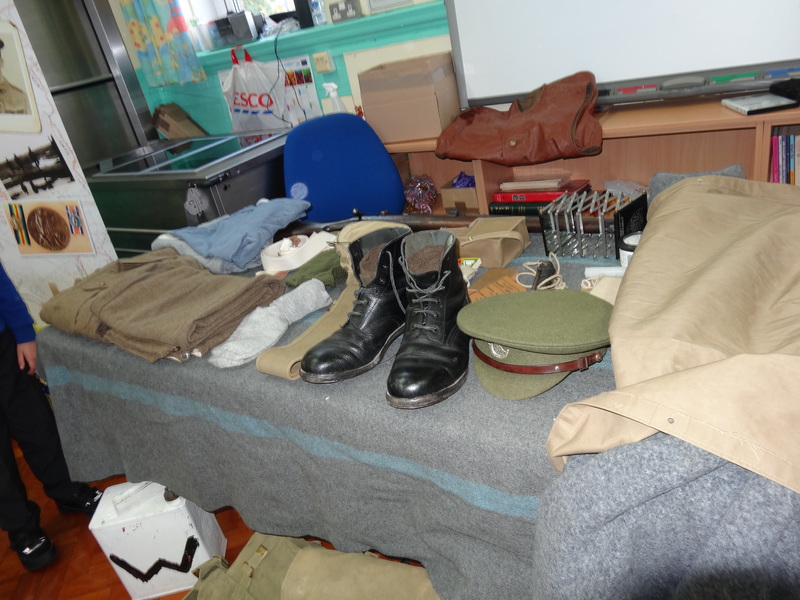 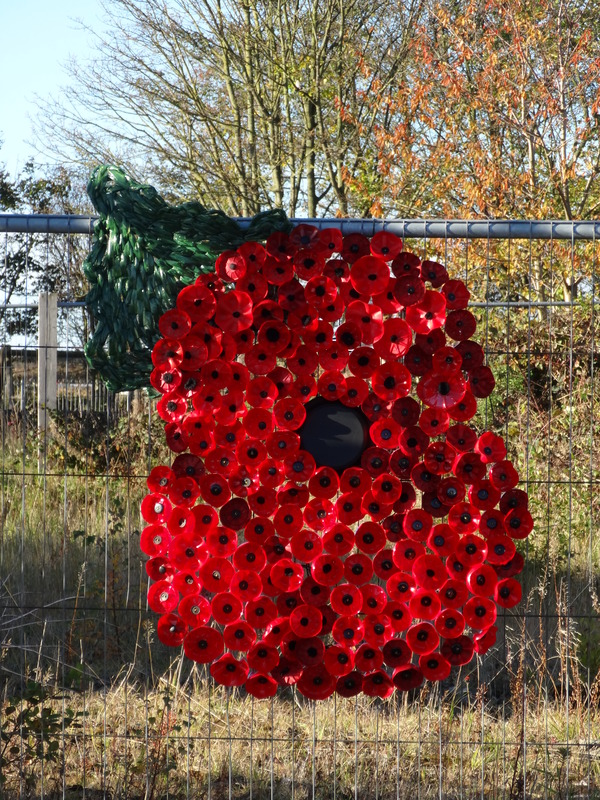 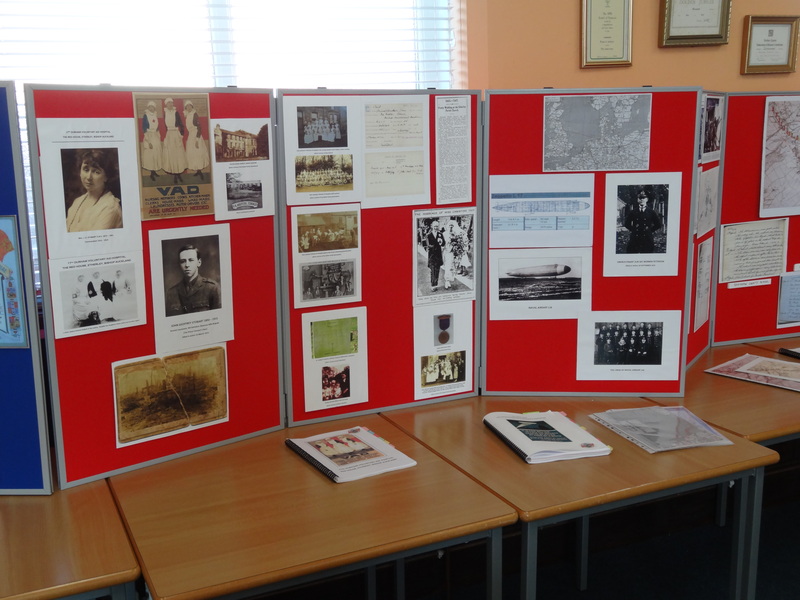 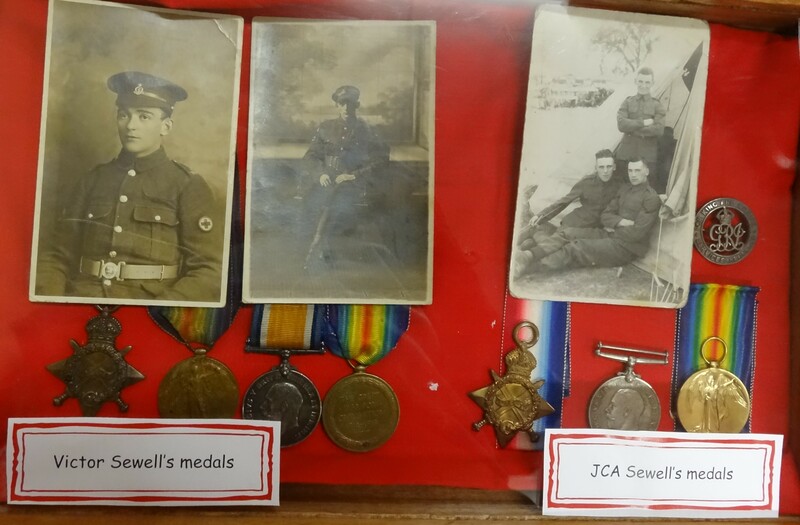 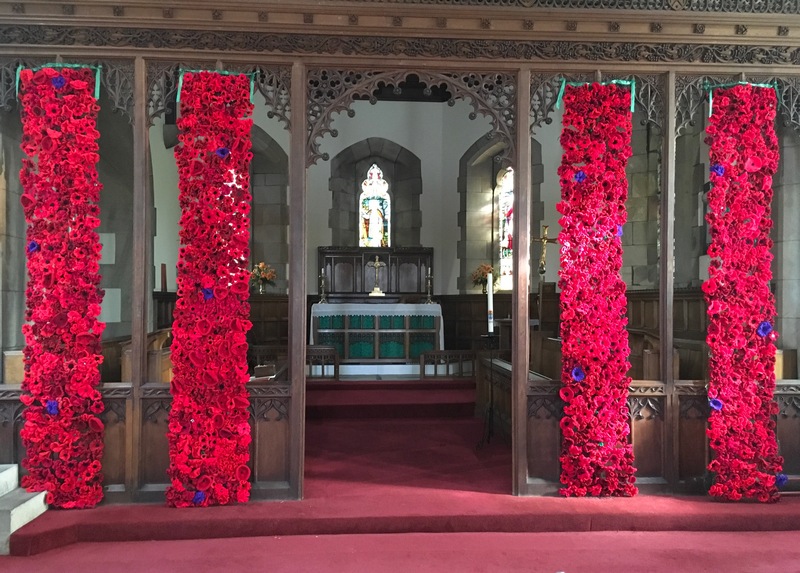 EVENWOOD PARISH HALL: Remembrance DisplayWe visited Ramshaw, Cockfield, Woodland, Butterknowle, Toft Hill Primary Schools and Evenwood C.of E. Primary School and gave talks about the Zeppelin Raid, Tommy’s Kit and the Attestation [recruitment] Procedure. 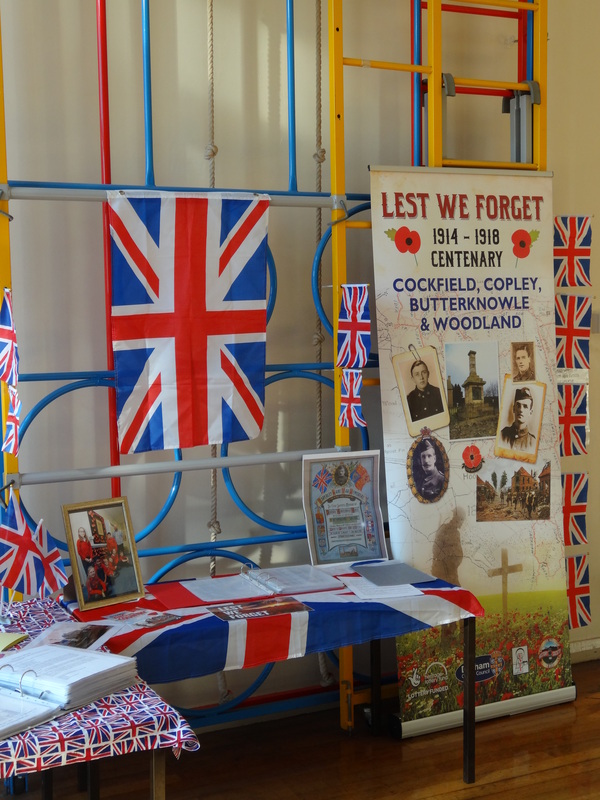 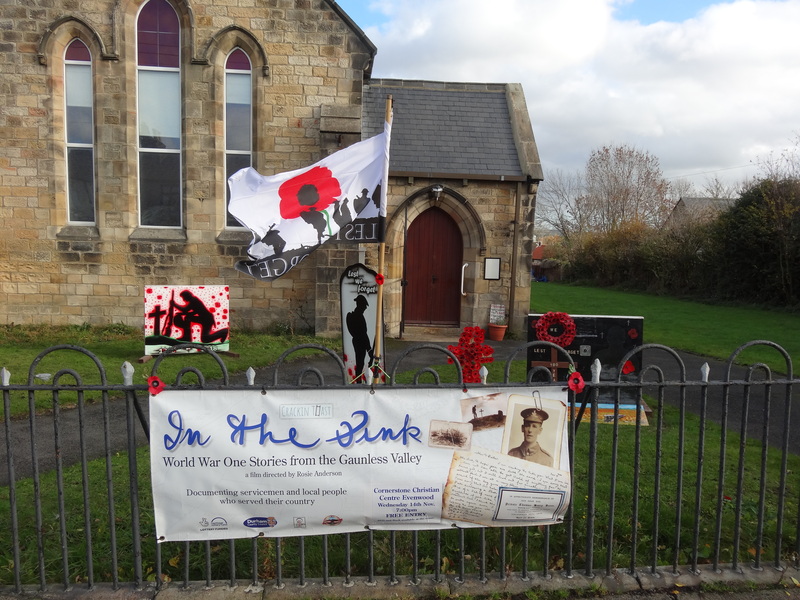 Children from Copeland Road Primary School visited the display at West Auckland Memorial Hall. 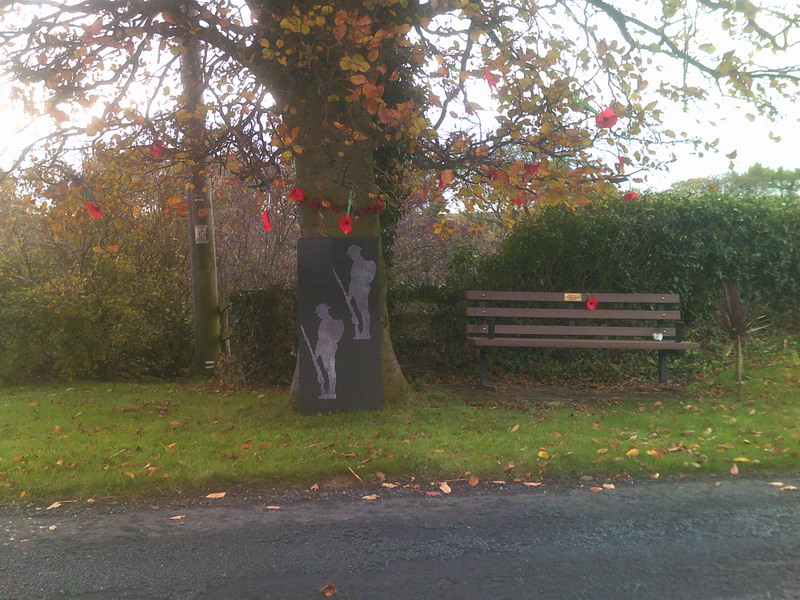 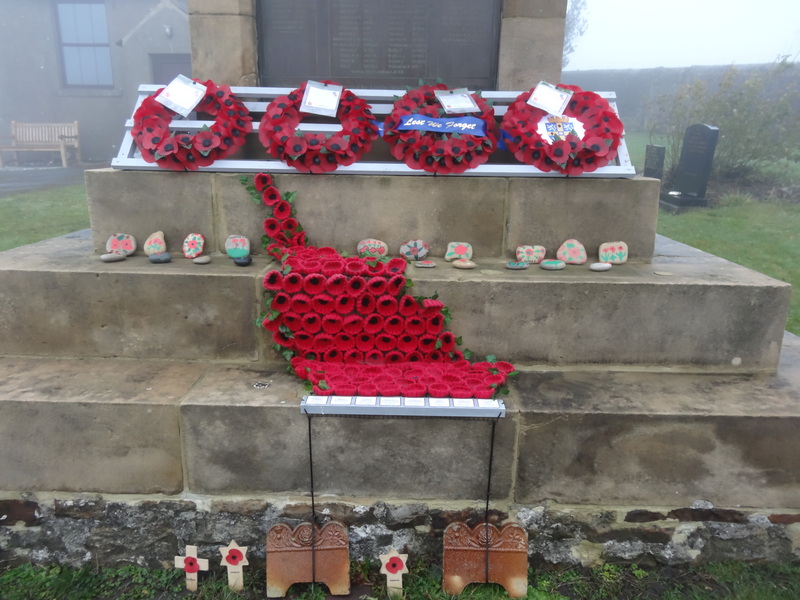 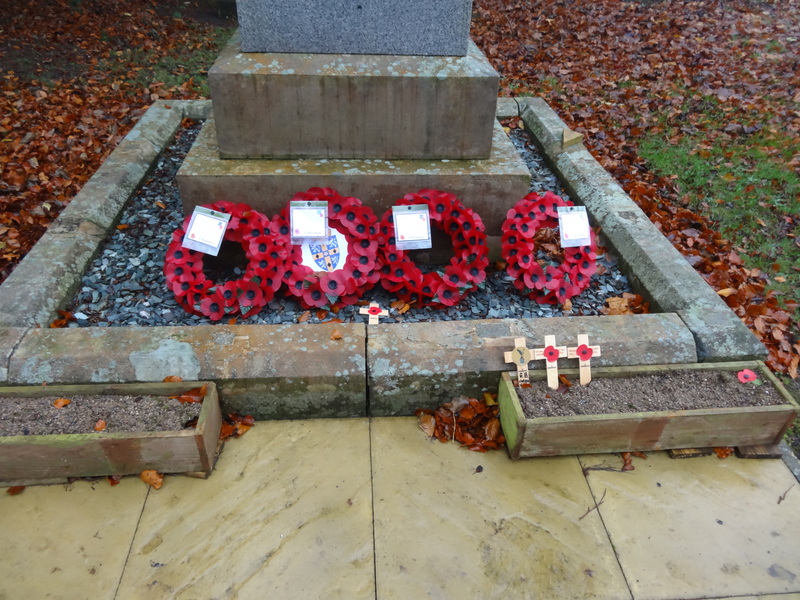 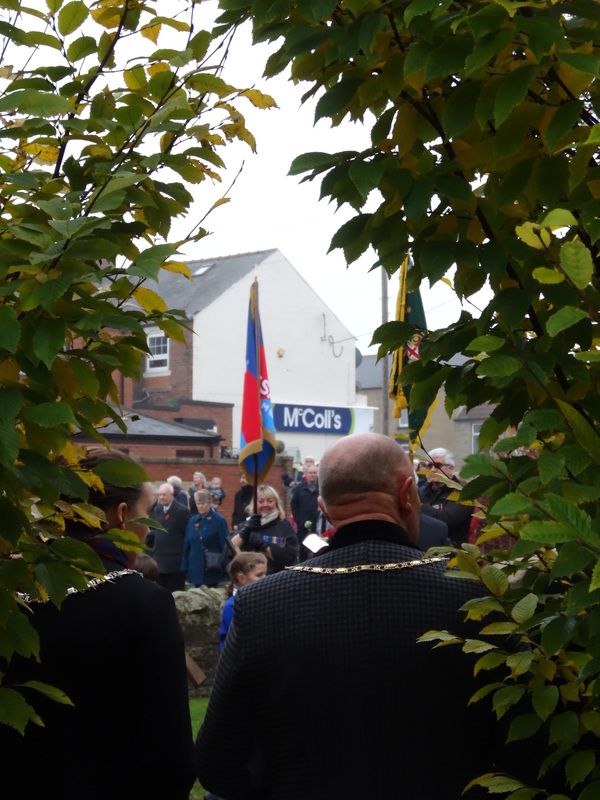 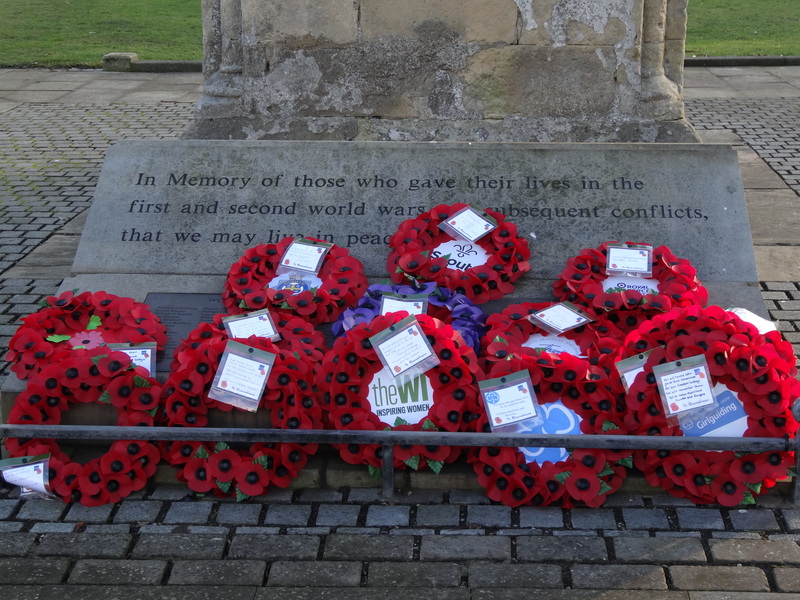 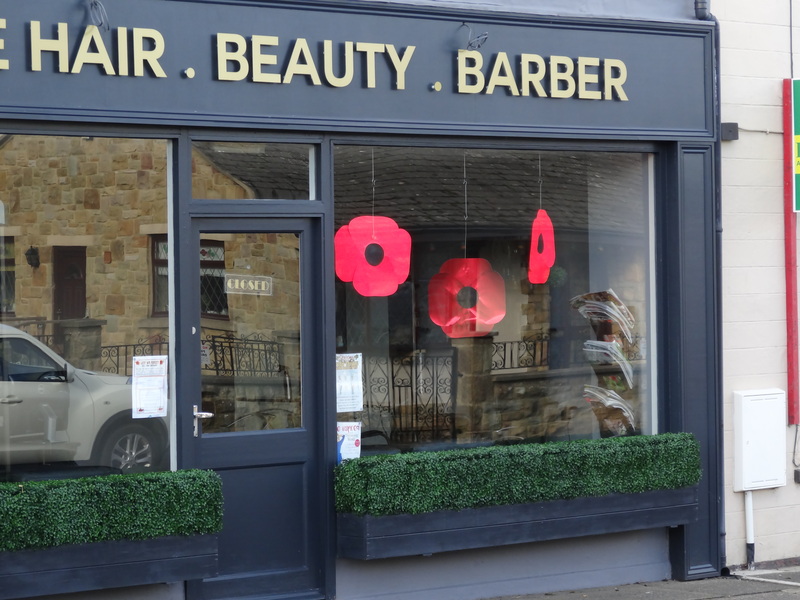 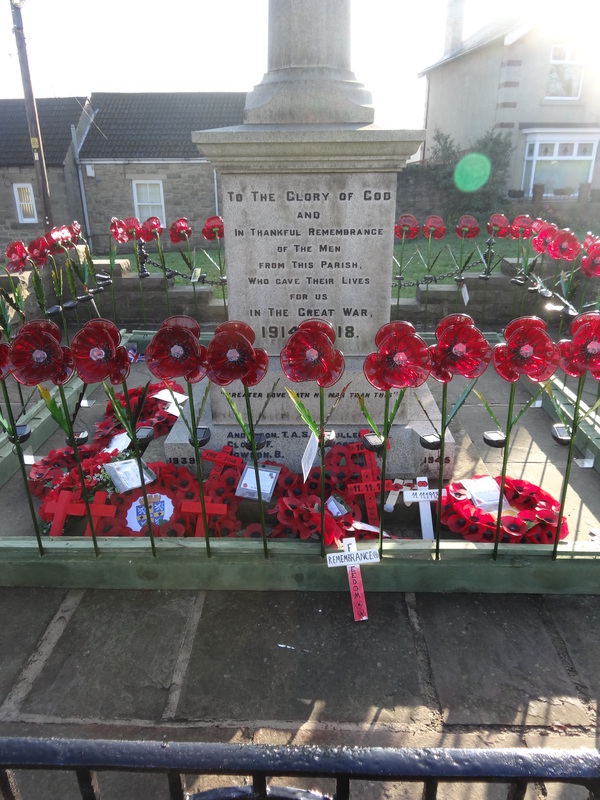 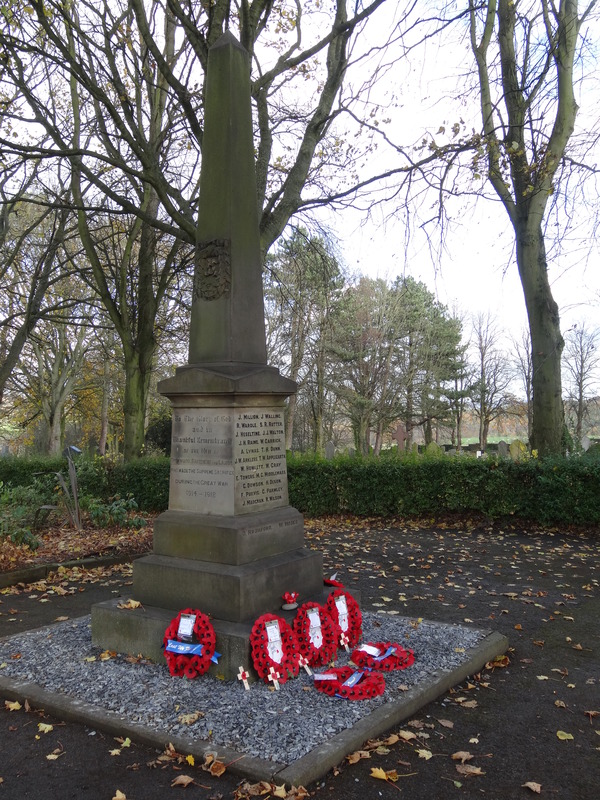 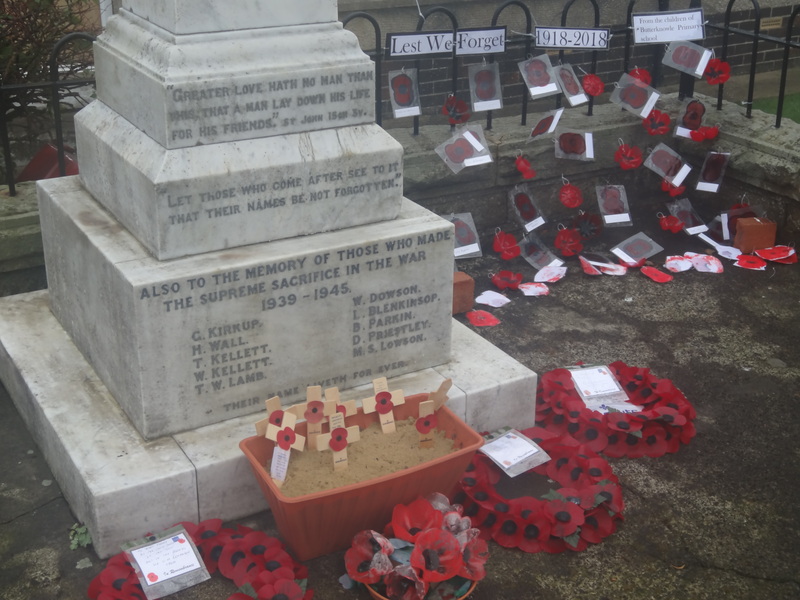 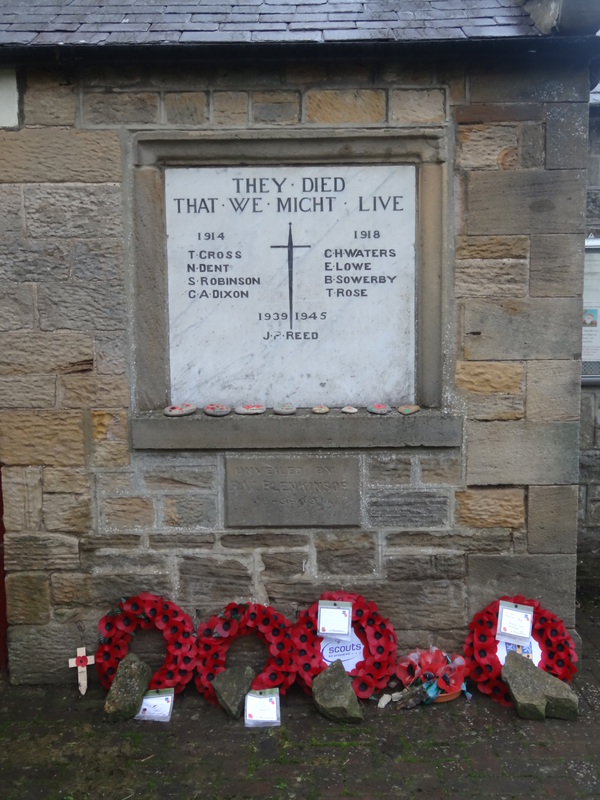 We helped with setting an environment for remembrance in our villages.